A number of main buses serve the Greenwich area, stops can be found on Nelson Street or surrounding streets. 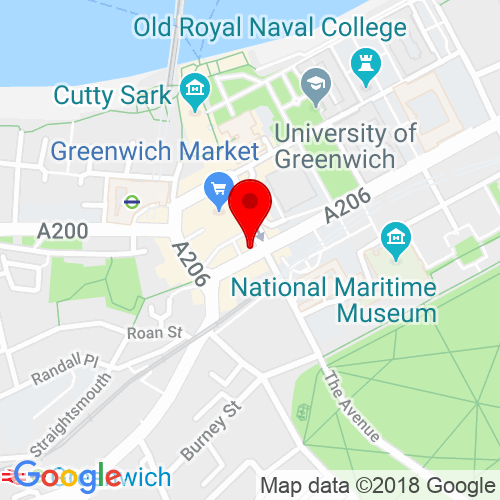 Click here to see the current price list for Rush Greenwich. Found a stone’s throw away from Greenwich Park, our gorgeous new hair salon sits amongst panoramic breath-taking views of London, a bustling market and rich culture making it the perfect addition to the Rush family. Kieran Austen, Franchisee of Rush Greenwich has over 7 years of experience having trained in one of London’s most prestigious salons. He specialises in colour and will be at the forefront of the highly skilled team to ensure your visit to the salon will be a truly blissful, pampering experience. At Rush Greenwich leave your worries at the door and make yourself at home as you are in award winning hands. Grab your favourite magazine, sit back and relax as we treat you to an indulgent head massage, and provide you with complementary cold and hot refreshments and nibbles. Our highly experienced and knowledgeable stylists are waiting to greet you and give you a helping hand with your transformation no matter how big or small. The RUSH team are here to provide you Beautiful hair at affordable prices; from a trim of your ends, a quick bouncy blowdry on your lunch break for a Friday night out or that colour transformation you have been debating over for months. During your visit we will only be using products that we stock in the salon and are personalised to your hair ensuring you leave the salon with beautiful hair, the Rush way. 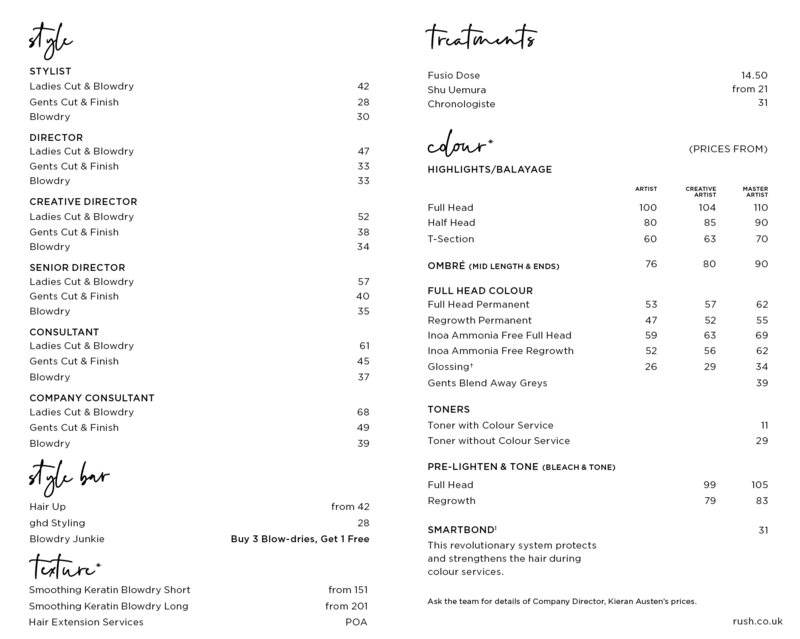 If you want to give your hair that extra bit of TLC our expert stylists will be recommending personalised home care ritual and products to you. Our Greenwich salon stocks a wide variety of beautiful products from Kérastase, L’Oréal Professionnel, Shu Uemura, Moroccan Oil and GHD. Such a lovely and welcoming atmosphere ..I had a lovely ombré brown and blonde by Rebecca .. I recommend this salon to everyone!! Warm welcoming and friendly staff, more than patient and helpful on the unrealistic hair choices I came in with! ... Yet they still made it happen. I love my hair and will enjoy becoming a long term customer at rush in Greenwich, I highly recommend this place. Thank you Kieran for making me feel beautiful ! The salon is really nice and the staff very friendly. Definitely recommended! A beautiful and stylish salon. Really friendly staff. I had my hair coloured at the launch, the colourist was totally professional on such a busy day. I am loving my hair and look forward to my next salon experience. I wouldn't hesitate to recommend Rush Greenwich.